The classic version of Nanotyrannus, a small agile tyrannosaur. COOL work!!! 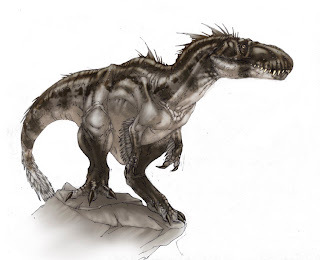 I think the nanotyrannus is not a juvinile t-rex.Its a juvinile nanotyrannus. And its parents are bigger than t-rex. 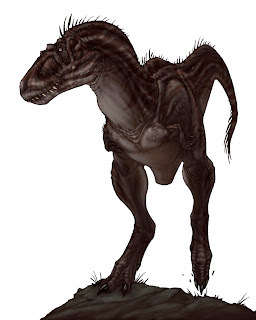 Maybe the adult nanotyrannus is the real t-rex hunter, no the baby like in the jurassic fight club. Perhapsly the Tyrannosaurus X (which maybe only a big male t.rex)was the adult Nanotyrannus?